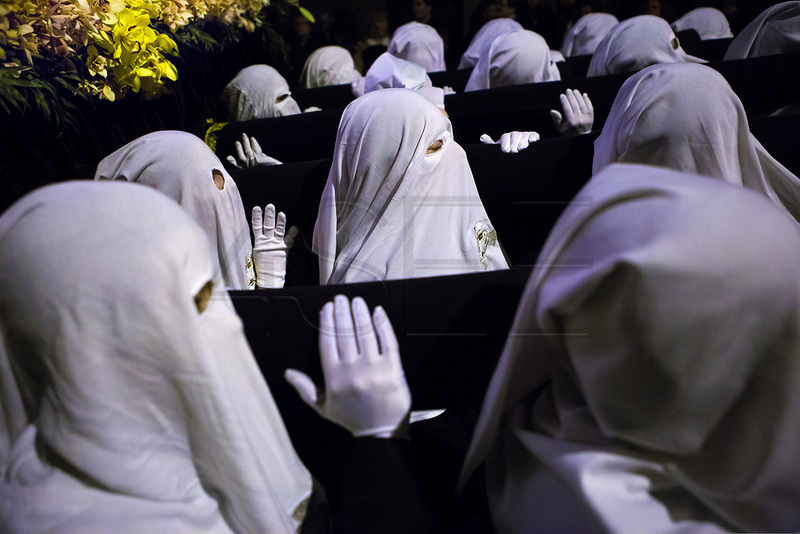 The femenine brotherhood with white capirote carrying the Virgin of Sorrows. Procession of Silence. Holy Saturday, Easter 2016 in Mataró city (Barcelona), Spain. Easter 2016, Eva Parey/4SEE.